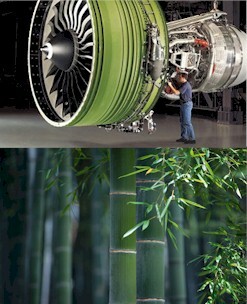 AEMPS is an eco-aviation technology and a green solution. The AEMPS platform not only reduces costs and increases efficiency, but also brings capabilities for sustaining the environment and shrinks the pollution footprint. Engine MRO operations are highly pollutant. AEMPS directly incorporates the environmental cost due to MRO operation processes. That leads to decisions that minimizes the total cost, including the environmental cost, while optimizes the engine lifetime. With AEMPS, needed resources can be determined accurately by precise removal forecasting that is based on highly-advanced analytics, at the core of which the engine inherent reliability is captured and applied. By optimizing resources via our rCAMP proprietary technology of AEMPS, waste is removed. Overage of resources creates serious financial burden, but is also detrimental to the environment since producing those excesses creates pollution. Resource shortages also result in waste, as many unnecessary activities with polluting footprints need to be conducted to restore operational stability. AEMPS is the only solution that delivers green results by optimizing resources. All AEMPS processes are done digitally, avoiding papers. The usage of papers is contrary to the greening efforts that embodies eco-aviation. At the same time, the proper record keeping is a vital component of aviation, as mandated by regulations. AEMPS has been designed for complete receiving of inputs and delivering of outputs electronically, while complying with the record-keeping requirements of the aviation regulations.